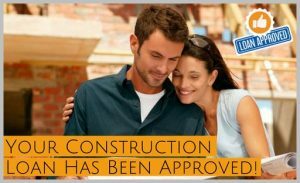 While a Builder may be reviewed and approved in advance, the overall formal Loan Approval normally comes as a whole, incorporating Borrower Credit Approval, Builder Approval and Project Approval documented into a single commitment letter. Every loan approval is issues with conditions, typically minor when properly submitted. 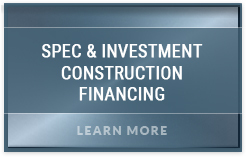 One of the most complex and challenging parts of any home building project is getting approved for a construction loan. 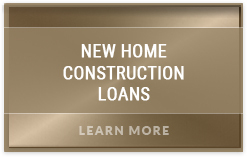 The pros at HomeConstructionLoans.com can help you avoid or eliminate unforeseen obstacles before they happen and keep you on track with the “preferred” lending rules of each lender. A good credit score and a loan application that’s packaged, submitted and presented just the way each lender prefers goes a long way towards gaining loan approval, but simple errors in judgement can’t be overlooked and can be the deciding factor between loan approval and rejection. 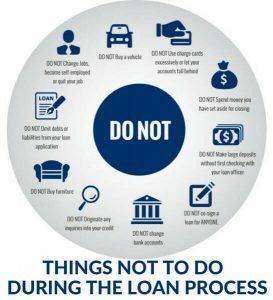 The chart on the right will help you stay financially vigilant and remind you of things NOT TO DO when applying for a home construction loan. Don’t Change Your Employment Status – If you’ve been in a salaried position for 10 years, don’t switch to a job with a commission structure while you are waiting for your loan to get approved. Many loan programs require that people show at least a two-year history of the same kind of work or similar pay structure. No Major Purchases – Don’t make any major purchases, such as cars or furniture. Doing this can affect your debt ratio and cause the loan to no longer qualify. Don’t Apply for Credit Cards or Co-sign on a Loan – Applying for new accounts requires a credit rating report. Credit checks lower your credit rating, even if your rating is high. In addition, mortgage bankers have to count the new debt in the ratio & can cause delays or change an approval to a denial. Don’t Change Banks – Don’t change bank accounts or make undisclosed deposits/withdrawals unless you have a good paper trail. Don’t Delay Paperwork – Provide all paperwork your loan officer asks for asap! Each step in the process has a deadline. Missing even one can cause a delay in closing and potentially put you at risk of losing the contract. Don’t Payoff Collection Accounts Before Speaking with a Consulting Pro – Even paying off a negative debt can cause a credit score change. 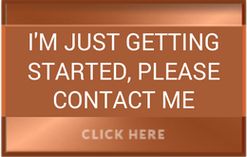 Again, you want your credit status to remain constant through the process. Don’t Close Credit Card Accounts or Increase Credit Card Debt – Wait until after the loan closes to make these types of changes. Changes in credit limits and scores, even positive ones, can have negative consequences before closing. Don’t Pay Cash for Home or Termite Inspections – These costs paid are normally paid at closing and in order to get reimbursed, you have to show more than a paper receipt. You have to show a canceled check or cashier’s check to prove payment. A few of the most common issues are updated property insurance, missing signatures, and a bank statements or pay stub you received during the loan process. If an underwriter feels the approval conditions are critical to approval the loan will be suspended rather than approved. The term “suspension” can create significant anxiety, but really just means “more information required.” Once approved a Loan Commitment Letter is issued there exists a very strong belief those minor conditions can be met and the loan funded. Once a loan has been approved and the approval conditions reviewed and cleared, the file is ready to begin the closing process. The first step is for the lender to issue “Lender’s Instructions’ to the closing agent, normally an escrow officer, title agent or in some states and real estate attorney. Each is typically independent of the lender and chosen by the borrower, suggested by our Consultant or directed by the lender. In some instances the closing agent is not a third party, but a division of the lenders. This is rare for a bank or mortgage company, but more likely with a brokerage firm, insurance company or private equity fund with our Network of Lenders. The closing agent in turn reviews the lender’s fees, confirms title insurance fees and coverage, determines if the current property taxes due or coming due, reviews and confirms property insurance coverage, orders and receives a formal payoff demand if there is an existing loan to payoff and prepares an Estimate Closing Statement for the lender. 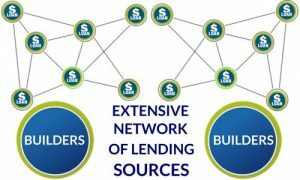 The lender in turn reviews and confirms the closing statement fees or as is very common today because of massive new regulation aimed at protecting consumers, requires that adjustments be made to ensure the various categories of closing costs fall within regulatory limits. The Final Closing Statements, also known as a HUD-1 (Housing and Urban Development) must reflects fees paid that are within a narrow range when compared to the original Good Faith Estimate issued at application or re-issued when terms change during the loan process. In no instance can the lender change the terms without notifying you no less than 7 days before you will be signing your formal and final loan documents, such as a promissory note or mortgage and deed. 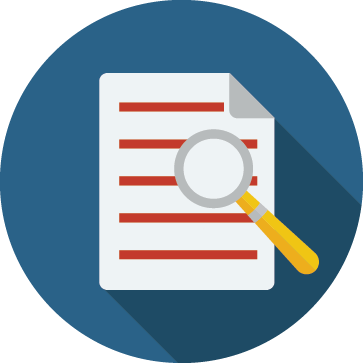 Once the lender is satisfied the closing statement will fall within regulatory limits, the Loan Documents are issued and forwarded by overnight courier or transmitted electronically by secure email to the Closing agent. Once the closing agent has received and reviewed the loan documents they’ll call the borrowers to schedule an appointment to review and sign the final loan documents. The signing may occur in the lender’s office, at the closing agent’s office or in some instances with a traveling notary at a time and location of the borrower’s choosing. 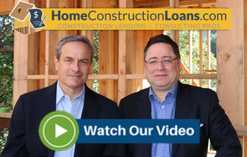 While some lenders are now using virtual closings via the Internet, the greater complexity of construction loans has so far prevented that as an option. The loan signing generally takes an hour on average, but can be done as quickly as 30 minutes or last two hours for clients accustom to reading every line of every document they’ll be signing. Normally the Builder does not need to be present, but often has forms to be signed. The most common are a general acknowledgment of the draw procedures or reaffirmation of the contract and total cost of construction in the presence of a Notary or representative of the lender. Based on a set of facts at the time of application a set loan amount is applied for, reviewed and approved by the underwriter. During the span of the loan process, which can run 2-10 weeks, the facts change, such as the crediting of previously paid construction costs that cannot be properly documented by the borrower and therefore need to be excluded, the payoff amount of the existing mortgage is higher than disclosed, the property insurance premium in higher because of a change in coverage, outstanding property taxes or special assessments come due and in some cases the lender fees changed for specific, justifiable reasons. Remember, any changes in Lender fees must be disclosure to you in writing no less than 7 days before you are asked to sign final documents. Rather sending the file back through the underwriting process, which can add an additional week or two to the processing time, the borrowers bring cash to closing to adjust for any variations. The maximum loan amount the lender can approved, i.e. 80% of the appraised value, is not sufficient to cover the payoff of the existing loan, provide for 100% of construction costs and cover all closing costs. 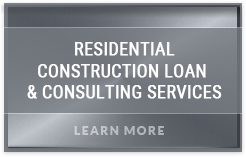 Construction loans require that the entire cost of construction be included in the approved loan amount or that the difference is brought to escrow and applied to the payoff of the current loan or forwarded to the lender and held for disbursement through the formal draw process. This is hard for some borrowers to understand, but in essence the project must be self-supported so that all funds required to complete the project are accounted. If the borrower passes away, walks away, declares bankruptcy or has a builder quit, the financing to complete the project is still fully available. With the loan documents signed and returned to the lender and any borrower funds due have been received by escrow, the closing process is ready to be completed. After the lender has reviewed the signed documents they will wire funds to the closing agent to be used to pay off any existing mortgage and any third parties like the title insurance company or escrow. If there is not an existing mortgage, any borrower funds brought the closing agent with be wired to the lender. Once the lender has received these funds or the Closing agent confirms the existing lender has received the payoff funds, the deed and new mortgage will be recorded at the local County Recorder’s office. Where the borrower currently occupies the subject property, a property that will renovated or rebuilt, there is a federally mandated 3 day waiting period before the transaction can record and close. This is not true of vacant land or properties the borrowers never occupied. During this period the borrower can exercise their right to rescind the transaction by contacting the lender and /or closing agent.